One of the UK’s Leading Suppliers of Cake Labels! Our ability to react to demand and produce high quality digital labels in a timely fashion makes us a reliable and trust worthy source when you need your cake labels in a hurry. Our design staff can tailor your label to your exact requirements using the latest design software and digital equipment. This means you can get high quality cake labelling in just a few days. Our digital label presses are capable of producing short runs. Flexible and efficient they can cope with the variable data associated with cake labels. Using digital presses means that we can provide you with varying size runs that are cost effective and of a very high quality. If you have any special baking label requirements please let us know. We can print on a variety of specialist materials and can help you find a solution for your printing needs. 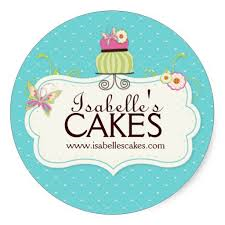 Request a free cake label sample, or get a quote now!